CD-ROM included contains Electronics Workbench Version 5 and EWB Multisim Version 6 circuit data files, as well as solutions to the in-text Altera and Xilinx examples—providing users with additional reinforcement and feedback concerning exercises and problems. 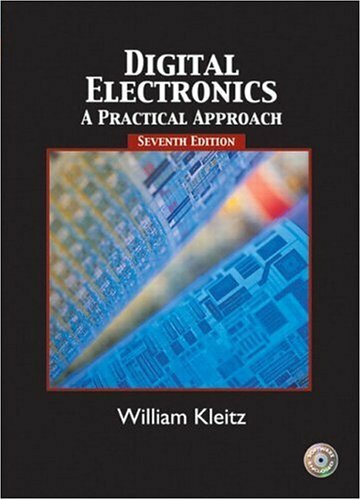 Programmable Logic Devices (CPLDs); Timing waveforms; MultiSIM simulations of digital circuit applications; Computer generated Boolean logic reductions; Section on event counting with optical switches and Hall-effect switches; Section on connecting multiple I/O to CPLDs; Stepper motors and controller ICs; Section on implementing state machines using VHDL; and ADC and DAC simulations. For design engineers.